Are you a fan of oldschool RPGs? If you are then do check out this list of 50 Legendary RPGs for the PS1 for ideas of games to play on your emulated Xperia Play. No matter how advanced a touchscreen may become, there is nothing that beats the old-fashioned way of playing a videogame through a controller or joystick! I can see a touchscreen device like a Tablet continuously improving the gameplay of strategic games or turn-based RPGs, but you'll never get the most of an action game or platformer playing through a plain screen with your fingers! And in all honesty, most of Google Play's games start getting boring after the first 10 minutes. 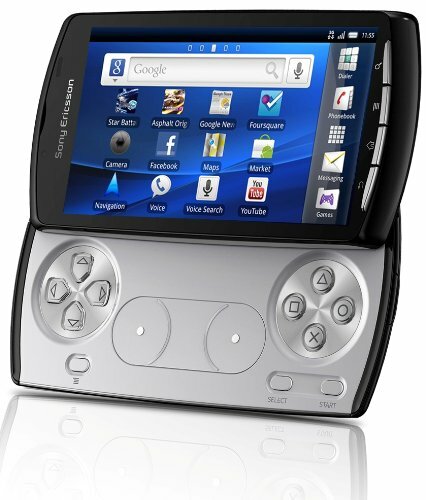 The Xperia Play produced by Sony Ericson is a mobile phone first launched on April 1st of 2011, whose main selling point was the fact that it was also a gaming device with an integrated Playstation-like gamepad hidden underneath it, capable of playing Sony's original PS1 games through the Playstation Mobile feature. This for me was huge, as the nostalgic gamer of past classics that I am, and follower of may of Sony's products, I took the opportunity of needing an actual cellphone, my recent interest on the Android OS, and the fact that my Nintendo DS broke, to buy me a Xperia Play! I really liked the phone, but it was not until much later that I started taking full advantage of the endless gaming possibilities that the Xperia Play offers. I'm talking about taking advantage of the Android OS emulation potential in conjunction with the perfect classic gamepad, making your phone a 100% portable console. The perfect machine for someone who wants a decent and powerful mobile phone, android OS, and a gaming device capable of running virtually any game up to the fifth generation of consoles! It is true that you do have a fair share of available games through the Playstation Pocket app, as well as an infinite amount of choice through Google Play (once Market) that you can use to fish for games, many of them free. However, in my opinion nothing will ever beat a Spyro the Dragon, a Crash Bandicoot, a Tomb Raider, a Final Fantasy, a Resident Evil, a Metal Gear, well you get the idea. And the fact that you can easily play any of these games, any time, anywhere, with the only real prerequisites being the phone itself and a wireless connection, makes this device one of the best mobile phone/gaming devices purchases I've ever done. How do you actually play emulated games on your Android? Well, if you have ever done it in your PC, than it is not much different. You download the application, install it in your device, download the ROMs of the games you want to play through a ROM directory, and voila! To start playing just open the app icon as if you were turning on your console, and choose the game from the folder as if you were picking it up from your shelf. There is plenty of free software out there that lets you emulate Playstation games, however none will ever be as good as the paid ones (They're pretty cheap anyway). The best two I can recommend for their ability to play virtually any PS game are FPse and eSPXe. I would say the best of the best and most complete (and the one I use on my phone) is probably FPse, but eSPXe is also very good and has a large legion of followers. It is possible that on some occasion, a ROM might run better on one of the two. I'd say pick one, and try the other one along the road if you're having frame issues or glitches with a specific game. Besides the fact that you can make a portable Playstation out of your Xperia Play, this android phone also has the power to emulate practically every system that came out during the time of the Playstation and before, as well as a handful of handheld systems. This is perfect taking into account most emulators give you the option of configuring the controls for phones with integrated gamepads and keyboards, making the Xperia Play the perfect handheld, which can also make and receive phone calls! For other gaming platforms I give you these options available on Google Play for download. Some are paid and I can't account for the credibility of them all, but I assure you of the quality of the Gameboy emulators on the list. Both are really good and run very smoothly on the Xperia Play! Gameboy Colour - GBC A.D. There are many other emulators out there, of other systems as well, including more recent ones. However, what goes beyond PS starts to get a little tough for the current Xperia Play model to run, and many of those emulators are more "works in progress" than anything else. You are not restricted to what I mentioned here, though. It's up to you to search for what you really want, the options are there. If you would like a more detailed explanation, please refer to my step by step guide on how to install an emulator on an android device. Despite all this, it's important for you to remember that if you want to play any game legally through an emulator, be it in what kind of device you are playing it, you have to own the original platform and a copy of the game, or an equivalent virtual copy (bought through the Playstation Network for example). Otherwise you'll be infringing copyright laws, so do take that into consideration. Emulation is legal, as long as you own the original products. Many gamers take advantage of this tool to back up their games, or even using emulation to play the actual game they previously bought, in order to preserve the original and avoid any damage to their precious discs. 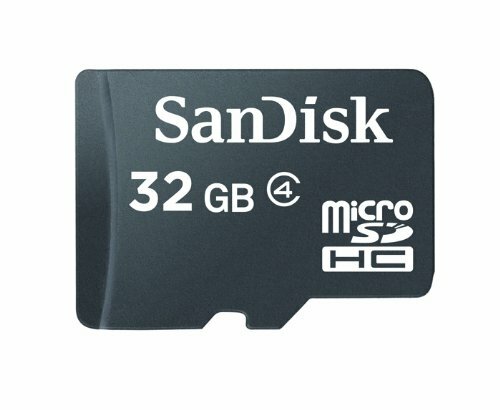 Get a bigger shelf for games (or music, videos, etc) with a 32GB micro SD for your phone. The first thing I bought for my Xperia Play was one of these- I simply hate it when I'm out of storage and have to start "cleaning" stuff up.